Whenever I get stuck I’ll contact my friends at CPSquare: Etienne, Nancy and John. And while I know they all have a deep understanding of CoPs I tend to ask Etienne the theory questions, Nancy the technology questions and John the group dynamics questions. Together they are a formidable team. Sadly I think their new book, Digital Habitats, will give them strong cause to suggest I should RTFM: Read The Flipping Manual. This is a really awesome book. I almost think it's more a performance support tool than a book. You really should get a copy and put it next to your computer. So, if you don't win the free copy, then you should go buy it. 1. Nancy White and John Smith will be doing a session at LearnTrends 2009 (a free online conference – you should definitely go register). And as a bonus, John will be doing another session with Jack Merklien of Xerox Global Services on communities. You can see details below on these two sessions. 2. Nancy and John have generously offered TWO FREE SIGNED copies of their book to people who help promote the conference and their sessions. 1. Follow me - @tonykarrer on twitter. 2. Tweet and include a link back to this post. I will use BackTweets to find people who link to this post. It handles short URLs. You can test to see if your tweet appears here. Post an entry in your blog that links back to this post. I will use IceRocket to search for your post. If you don't come up in the search, then drop a comment here to let me know about your post. Sorry if that turns out to be extra work, but I wanted a way to enter for those who don't use twitter. You can test that search here. 1. We will accept only one entry per blog and per twitter account. If you have a blog and a twitter account, you will have two chances to win. 2. We will do our first drawing on October 21 based on all entries to the contest prior to Midnight Pacific Time on October 20. 3. We will do our second drawing on November 11 based on all entries made after the first drawing deadline and prior to Midnight Pacific Time on November 10. Yes, that means that you will need to blog and/or tweet again on or after October 21 to be entered for the second book. This is the first time we've ever tried something like this. I know that most of you have been nice enough to promote the conference even without any kind of a reward. So, I hope this is fun and seems like a good possible reward for helping get the word out. I'm certainly open to feedback on the idea, how we could do it better, etc. And, of course, happy to answer any questions. Below are the descriptions of the sessions that Nancy and John will be involved with at LearnTrends 2009. There will be a bunch of other sessions that should be announced by October 15. Once you've mastered enough of the new social media tools, training and development professionals are figuring out that technologies can change the boundaries around training itself, just as they can interrupt organizational boundaries. We offer two cases that illustrate the benefits and opportunities of these changed boundaries. In one, Nancy White talks about triangulating internal training and capacity building with external actors who part of the training and who validate it; that leads to more connections between people and has gained manager support. In the other, John Smith talks about a workshop that brings social activities into the center of the training experience, investing time in making the social connections a lasting and practical resource. We use the polarities that are developed in Digital Habitats to tie these examples together and give you design ideas for program development. Nancy brings over 25 years of communications, technology and leadership skills in her work supporting collaboration, learning and communications in the NGO, non profit and business sectors. Grounded in community leadership and recognized expertise in online communities and networks, Nancy works with people to leverage their strengths and assets towards tangible goals and meaningful process. Nancy’s blog and Twitter stream are regularly recognized as leading sources on online communities and networks, knowledge management and knowledge sharing. 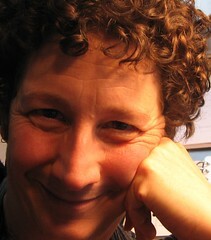 Nancy is a respected speaker and workshop leader. She is a chocoholic and lives with her family in Seattle, Washington, USA. John brings over 25 years of experience to bear on the technology and learning problems faced by communities, their leaders and their sponsors. He coaches and consults on issues ranging from event design and community facilitation, to community design and evalua tion, and technology selection and configuration. He has worked in the communities of practice area for the past 10 years and is the community steward for CPsquare, the international community of practice on communities of practice. He's the host of com-prac, the longest-running conversation about communities of practice on the 'Net. He is a regular workshop leader in CPsquare and elsewhere. He grew up in Humacao, Puerto Rico and now lives in Portland, Oregon. Communities of practice are a well-established part of Xerox Global Services' knowledge strategy. Over the years, the tools that Xerox communities use has evolved through experimentation, innovation, and technology stewardship. All Xerox communities have access to a common set of tools: standardizing on that set of tools helps reduce the learning curve as staff move from one community to another. But communities choose a subset, evolve their own conventions and habits, and individual preferences determine what communities actually do. The current the mix of tools that are available includes blogs, wikis, document repositories, live meeting software and a calendar. Using the community orientations framework from Digital Habitats, we'll talk about some of the different communities at Xerox and how they use the standard tools in ways to fit their individual styles and needs. We'll also talk about how the different tools work together (for example, about community vs personal MS-Outlook calendars or how a wiki and a document repository overlap in some ways but serve different purposes at the same time). Jack Merklein is with Xerox Global Services where his responsibilities include the development and care of communities of practice, internal knowledge management training and knowledge sharing initiatives. He also consults privately, and his client list covers both the public and private sector. Previous assignments include being the Director of Knowledge and Learning for Xerox Global Services. He is also a retired Lieutenant Colonel, US Army, with degrees from West Point and Golden Gate University. His service assignments included Director of Knowledge Management and Distance Learning while assigned as a senior faculty member at one of the Army's schools. He has served as a board member and chair of the Knowledge Management Certification Board, was a founder and first president of the Knowledge Management Professional Society, and was one of the original members of the U.S. federal government's Knowledge Management Standards Committee under the federal CIO's council. He has written articles for several magazines concerning how knowledge sharing initiatives can impact learning. John brings over 25 years of experience to bear on the technology and learning problems faced by communities, their leaders and their sponsors. He coaches and consults on issues ranging from event design and community facilitation, to community design and evaluation, and technology selection and configuration. He has worked in the communities of practice area for the past 10 years and is the community steward for CPsquare, the international community of practice on communities of practice. He's the host of com-prac, the longest-running conversation about communities of practice on the 'Net. He is a regular workshop leader in CPsquare and elsewhere. He grew up in Humacao, Puerto Rico and now lives in Portland, Oregon.